Is reading an issue with your kids? The issue might be dyslexia. One in a series of Parent Information Books by the award-winning authors Drs. Linda and Al Silbert, this title includes tons of easy-to-implement proven strategies to solve dyslexia and other reading challenges. In addition to learning tons of information about what dyslexia is and is not, parents and teachers get easy-to-implement, practical strategies to help kids succeed in reading. 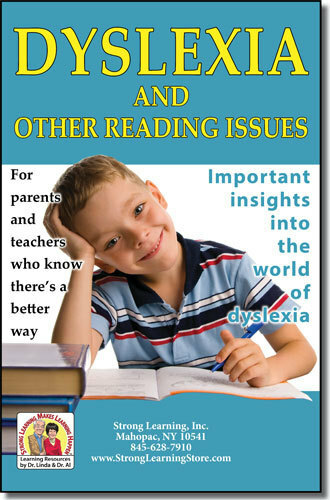 This readable guide includes Important insights into the world of dyslexia.